Our Mission: "To inspire and enable all youth to reach their full potential as educated, productive, responsible, and caring citizens by providing enriching and challenging programs presented by dedicated, professionally trained volunteers and mentors." Superintendent Ron Taverner is in his 48th year with the Toronto Police Service. Mr. Taverner is a highly competent professional with a broad range of expertise, involving operational and managerial roles in Canadian policing. He is an effective communicator with a sound work ethic who demonstrates solid knowledge of policing procedures, good judgement and the ability to generate trust and loyalty from colleagues, community leaders and the public. Derek Lett is a senior executive with the Government of Ontario where he has worked for the past 23 years. He is currently the Executive Director in the Office of the Conflict of Interest Commissioner. He has held several leadership positions in various ministries in the Ontario Public Service including Director of Inclusion Program Design & Delivery with the OPS Diversity Office, Special Advisor on Diversity to the Deputy Minister of Government Services and Associate Secretary of the Cabinet, Manager of Real Estate Strategies in the Ministry of Public Infrastructure Renewal and Manager of Facilities Planning with the Ministry of the Attorney General. Mr. Lett holds a specialized honours B.A. in Public Policy and Administration from York University, a Masters in Public Administration from Queen’s University, a Certificate in Change Management from Rotman School of Management, University of Toronto and a Certificate in Alternative Dispute Resolution from the Faculty of Law, University of Windsor. He is a registered mediation coach with the Stitt Feld Handy Group of Toronto and is a Past President of York University’s Organization of Public Policy and Administration Alumni Association. Mr. Lett is the recipient of the Ministry of the Attorney General’s Prix Excelsior Award for “professionalism, exceptional dedication and commitment to public service in Ontario” and the Alumni Recognition Award from York University’s School of Public Policy and Administration. Mr. Taverner is the recipient of numerous community and policing awards from across North America, including the Medal of Merit from the Governor General of Canada, January 2009. Deputy Chief Peter Sloly is in his 25th year with the Toronto Police Service. Prior to his policing career he played professional soccer and was a member of the Canadian National Soccer Team. He has a Criminal Justice Education Certificate from the University of Virginia, Incident Command System Certification from the Justice Institute of British Columbia, a Bachelor of Arts in Sociology from McMaster University and a Masters in Business Administration from York University’s Schulich School of Business. He is a graduate of the FBI National Academy and the University of Toronto Rotman Police Executive Leadership Program. Peter Sloly has authored articles for several police and justice magazines on community mobilization, crime prevention, emergency management and social media. He was an adjunct Professor at the University of Guelph-Humber and a guest lecturer at the Ontario Police College. He is also a member of the Police Executive Research Foundation and the Canadian Police College Advisory Board. Community Safety Command encompasses 4000 police officers, 200 civilians, 17 police divisions and a budget of $451 million. In addition, Community Safety Command is responsible for the Toronto Police Operations Centre (TPOC). TPOC monitors police operations in real-time, 24 hours a day, 7 days a week and seeks to utilize the newest available technologies to manage crime and traffic, effectively disperse resources and mitigate risk. The Divisional Policing Support Unit (DPSU), which amalgamated the Toronto Anti-Violence Strategy (TAVIS), the Transit Patrol Unit and the Community Mobilization Unit and introduced a number of new projects to increase community and youth engagement, is also under the direction of Community Safety Command. Peter Sloly has been a member of the Ontario Association of Chiefs of Police, the Canadian Association of Chiefs of Police, the International Association of Chiefs of Police, the FBI National Academy Associates, the Police Executive Research Forum, the TPS Military Veterans Association and the Association of Black Law Enforcement Officers. He has also served on the following Boards/Councils; Spirit of the People, Black Business & Professional Association’s National Scholarship Foundation, Merry Go Round – Kids Cops & Computers, Covenant House, Herb Carnegie Future Aces Board, Ontario Science Centre, Youth Challenge Fund, Greater Toronto Civic Action Alliance and the TDSB Elkhorn Public School Parent’s Council. 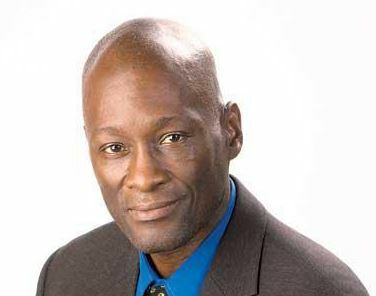 Royson James, Journalist, Toronto Star Newspapers Ltd.
Mr. Brown grew up in Scarborough, Ontario and holds a Bachelor of Science degree in Computer Science. He has been a Network Engineer the first 10 years of his career when he designed and built computer networks for various clients. He has spent the last 18 years in senior executive positions at Bell Canada and the Government of Ontario and is currently the Vice-President of Delivery Services at Eclipsetechnology based in Mississauga, Ontario. Conrad’s passionate belief is “we can make a difference one neighbourhood at a time”. Wendy Banhan is a York University graduate with a Bachelor of Arts and a Bachelor of Education. She has been an educator, and presently a Vice Principal, with the Toronto District School Board for over 20 years and has a strong commitment to her community work – specifically with youth. She has been a long-time, contributing member of both the Jane/Finch and Rexdale communities advocating for youth and their families since 1987, serving as a board member with Caring Village and now Trust 15. Ms. Banhan’s Guidance and Literacy background have empowered her to build strong, long lasting relationships with staff and students alike. Many of her former students have continued into the field of Education as their career of choice as a result of her mentorship and dedication to having a positive influence and affecting the lives of the people she has worked with. Sahil Budhiraja is an Advisor with TD Bank Financial Group, where he has worked for over 8 years. He is currently a Small Business Advisor with TD Business Banking in the Etobicoke North Area. He has held multiple retail positions within TD. Among his roles, he was Senior Financial Advisor with TD Canada Trust and Investment Consultant with TD Investment Services Inc. In his current role he works with small –mid business customers and provides holistic advice in the areas of investments, borrowing and cash management. He has extensive experience in client relationship management specifically with medical professionals, Food Services Franchises and Logistics/transportation industry. Sahil holds a Bachelors of Commerce degree from The Global Open University (India), Business Management Finance diploma from Humber College, Certificate in Personal Financial Services Advice from Canadian Securities Institute and Branch Compliance Officer Certificate from Institute of Canadian Bankers. He is also a speaker and volunteer with ABC Life Literacy Canada where he presents annually to students of grades nine – 12 on the subject of financial literacy. He volunteers with TD Book Celebration, where he reads to grade 1 – 2 students from impoverished families. Devon Sheriff is the franchise owner of Sheriff’s No Frills at 1530 Albion Road in Etobicoke. He started working in grocery business from the age of 16. He worked in all departments, both inside and outside of the store, which gave him the necessary skills and knowledge to be the owner and operator of his very own supermarket today. Devon grew up in the Jane and Finch community of Toronto. He went to George Brown College where he acquired a certificate in welding. Devon believes in Trust 15 and the work of Marcia Brown because 30 years ago, he was one of the many “at risk” youths in the community. Jackie Porter has been in the financial industry for 18 years serving 400 families and businesses in the Greater Toronto Area. Her practice focuses on investment planning, cashflow management and tax planning. In her role as a certified financial planner, her mission is to help her clients to become and remain financially independent. A regular contributor to Woman magazine, Jackie was also on Senator Vivenne Poy’s Task Force for Young Entrepeneurs back in 2001. In February of 2009, Jackie was interviewed on CBC Newsworld and Sun News in 2013. Jackie currently serves on the Board of directors for Advocis Toronto and served for 2 years on the Board for Advocis Peel Halton, an organization that regulates financial planners. She also is a featured speaker and advocate for numerous corporate, non profit and charitable organizations. Jackie also acts as a consultant to the TDSB on the subject of financial literacy in the school system. Jackie is also a proud volunteer of Gilda’s Club. After losing a parent to cancer she felt it was her obligation to give back and support individuals who had experienced a similar loss. Jackie raises funds for Gilda’s Club and some her favorite charities every year and also offers free planning advice each month to members of Gilda’s Club. Leroy Brown is an IT professional and owner of a small computer consulting firm servicing clients in the GTA. He is a father of two living with his family in North Etobicoke for over 25 years. He was born in England but has lived most of his life in Canada and Jamaica. He has always had a passion for working with youth within his church and local community. He has been a board member of TRUST15 since its inception and has served on various committees within the organization. He believes that if society can intervene in a young person’s life at an early stage in their personal development, the likelihood that they will succeed in life will increase tremendously. Mary Rodrigues is an active member of the Toronto Police Service. She has been with the Toronto Police Service for the past 28 years. She currently holds the position of Administrative Co-ordinator at 23 Division in Etobicoke. In her current role she co-ordinates the administrative support functions at the Division and directs clerical support personnel to ensure the administrative work is properly processed, maintained and makes recommendations to improve administrative efficiencies. She assigns, trains, counsels and evaluates civilian clerical support personnel and acts as a resource to the Unit Commander on budget matters. She also prepares annual budget for approval and monitors expenditures. Mary grew up in the North Etobicoke area. She attended high school at Father Henry Carr S.S. and studied Business Administration at Humber College of Applied Arts. She currently volunteers and holds the position of Secretary/Treasurer with the Advocates for Etobicoke Youth Charity since 2005. Mary also volunteers in her community with the Catholic Women’s League. Tanya Howell is a lawyer operating her own legal practice after having been called to the Ontario Bar in 2014. She advocates in a wide range of areas including Criminal, Family, Employment, Wills and Estates law. Volunteering within the community is an essential component of her practice as she provides summary legal advice through the Pro Bono Law Ontario and Landlord Self Help joint pilot project. She has also volunteered with the Milliken Wesleyan Methodist Church to feed the homeless and mentor youth. Prior to her designation as lawyer, Tanya articled with the Crown Law Office Civil branch of the Ministry of the Attorney General where she assisted with the defence of a high profile case involving claims against the Crown. Tanya also has an extensive corporate background from her past position as a Risk Management and Health Law Specialist with The Scarborough Hospital. In this post, she conducted incident investigations, provided consultations on legal and operational risk, developed strategic goals for the legal affairs, risk management, privacy, and emergency preparedness departments, and created quarterly reports to the Performance Committee and Hospital Board. Tanya earned her Law Clerk diploma from Centennial College, an Honours B.A. in Criminology and Ethics, Society and Law from the University of Toronto and her Bachelor of Laws the University of Manchester, England.